Forest tenure is a broad concept that includes ownership, tenancy and other arrangements for the use of forests. It is a combination of legally or customarily defined forest ownership and of rights and arrangements to manage and use forest resources. 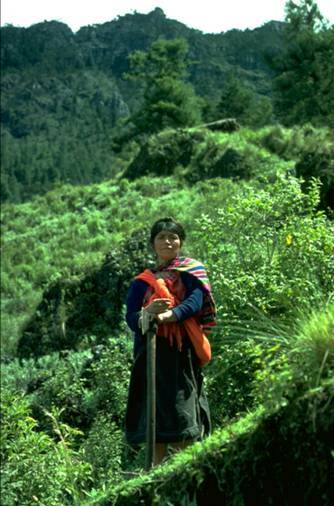 Forest tenure determines who can use what resources, for how long and under what conditions. While land tenure issues have been investigated and debated for a long time, forest tenure has only recently raised the attention of the international community, particularly in the context of initiatives such as forest law enforcement, governance and trade (FLEGT) and efforts to reduce greenhouse gas emissions from deforestation and forest degradation (REDD). It is also increasingly being recognized that secure tenure of forest resources may contribute to poverty alleviation of the millions of people who depend directly or indirectly on forest resources for their livelihoods and, more generally, to sustainable forest management. Although the majority of worlds’ forests remain under public ownership and state control, especially in developing countries, a diversification of forest tenure arrangements is taking place in various regions of the world as part of revised forest policies and laws. 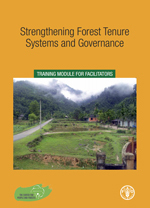 The nature of these new tenure settings varies considerably, reflecting the past and recent history of the countries, the different approaches selected by governments to improve forest management, but also the growing voices of local stakeholders demanding recognition of their rights and a role in decision making. Many of the tenure reform processes such as privatization, titling and restitution or redistribution of land are not adequately implemented because of a weak supporting environment, a lack of involvement of the beneficiaries in decision making about the new tenure arrangements and poor communication. Inevitably, this creates insecurity, mistrust and conflict, increases the fragility of tenure and reduces the interest in proper forest management. Tenure reforms should be incorporated in a broader context that includes governance and regulatory frameworks; conducted in isolation they are bound to fail or have limited impact. Empowerment does not come from titling alone, and titling does not ensure the capacity to benefit from forest resources, but requires a lot of additional support. providing country support in the process of tenure reform through field projects and development of practical tools.